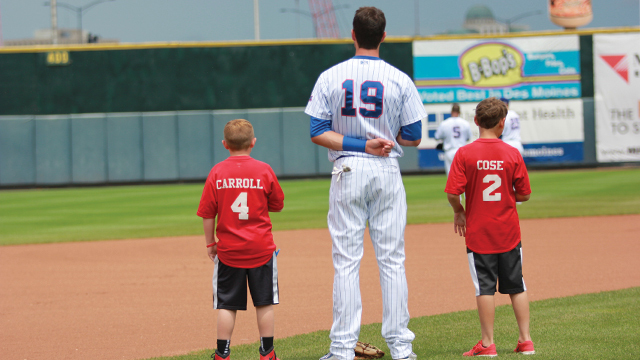 Uniformed youth teams will get to stand next to I-Cubs starters during the National Anthem before select 2018 home games. Additionally, team names will be displayed on Principal Park's video board. -Your team must consist of between 8 and 18 little leaguers. -Your team must reserves the minimum ticket order when you select your date. -Payment the tickets must be received at least seven (7) days prior to your Anthem Buddies game. For more information or to submit a request for your team to participate in the the Iowa Cubs Anthem Buddies program, contact Jason at (515) 243-6111 or via email at jasong@iowacubs.com.